aNdy's back with another old school demo for Windows PCs; Beast Tribute - Old School Demo 2 was inspired by Shadow Of The Beast on the Amiga and, as with the previous release in the series, the PureBasic source code is provided with the download. Time for something a little different at Cosine HQ, a small old school demo for Windows PCs which was developed by aNdy and, possibly unsurprisingly, called Old School Demo 1. The code was written with PureBasic and source code has been included for those who are curious. Blok Copy for the Atari 8-bit was released as a contribution to the New Years Disk from T.M.R and aNdy; it's a conversion from the C64 code but, because the source code was going to be released and the graphics needed some tweaking, all of the changes were retrofitted and we also have Blok Copy RX for the C64 today. Also for the Atari 8-bit is DYCP 2018 which, as the stunningly original title might hint, is a DYCP-based demo which was released in 2018! Once more the credits go to T.M.R and aNdy for this little release. 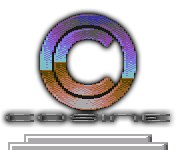 To finish the post and start the year, Cosine has a new inmate member; LeWurmling was responsible for the C64 versions of Nanako and Sir Ababol amongst others and joins Cosine as a coder - welcome aboard! Inspired by Taito games Double Dragon and Bubble Bobble, Bubble Dragon is a piece of PETSCII art from Chancer which was entered into the Plain PETSCII Graphics Competition 2017. Feel free to hum the music from either game whilst viewing! MD201706 is out and features code from T.M.R, accompanied by Odie's cover of the completion tune from Brian The Lion. This release is a bit unusual, since it requires either a Turbo Chameleon (set to 6MHz or faster) or SuperCPU epansion to run. When pressed for comment as to why the extra hardware was needed, T.M.R responded with "just because". It's the end of May 2017 so just about time for the release of MD201705 - a reworking of a classic effect with a bit more colour than the last time we tried it! Once more, the bits were crammed together by T.M.R, with the music being a cover of the Protracker module "Atominus" by Maza. The Monthly Demo instalment for April 2017 is, unsurprisingly, called MD201704 but at least the platform it runs is unusual; this is a 40 column C128 demo full of colourful raster splits in the upper and lower borders. Everything this time was handled by T.M.R including the music, an old cover of the Protracker module "Dozey" by Jozz. How about a new graphical outing for the Caped Crusader on the C64? The latest instalment of our Monthly Demo series MD201703 - The Bat-Tro from T.M.R (bat code and bat graphics) and aNdy (bat music) can arrange that for you!